More or less a thread to report bugs and other oddities I've encountered in SHotN. "Honest officer, I wasn't trying to steal it, I was just touching it"
The signs next to the door of the smith and traders in Karthgad apparently have owners. (the guards). If someone catches you trying to press the use button on them, your crime will be reported and you'll gain a 5 gold fine. Even though it's pretty funny to see happen, it's clearly a mistake on one of the developers' parts. I'm still trying to figure out how on earth this mistake happened lol. 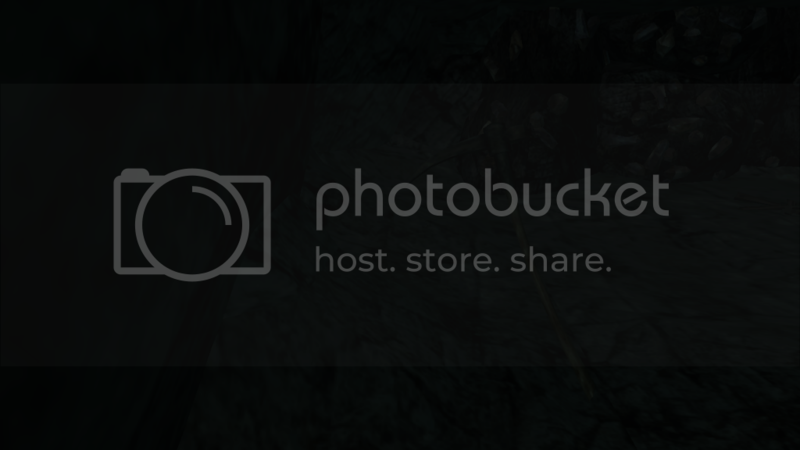 Couldn't think of a proper title for this, but there's a few NPC's that use text based upon their faction (or in the case of the captured bosmer, the faction that captured him) that just don't make sense. To top it off, apparently there's also an NPC confused about her gender. Kinda hard to see due to the drab lighting, but the captured bosmer's text for the Bear Clan topic doesn't really fit his current state of peril. When he refers to them, he refers to them as if he was from Karthgad. It would be better if he responded more like he does in other topics when asking him about the bear clan. This female nord's text refers to her as a male. Not really sure if this is a mistake or a female nord trying to fit in with the boys, or what but it's a little strange. This isn't really an error but her "the reach" topic response is a little generic. Could use a bit more flavor IMO. 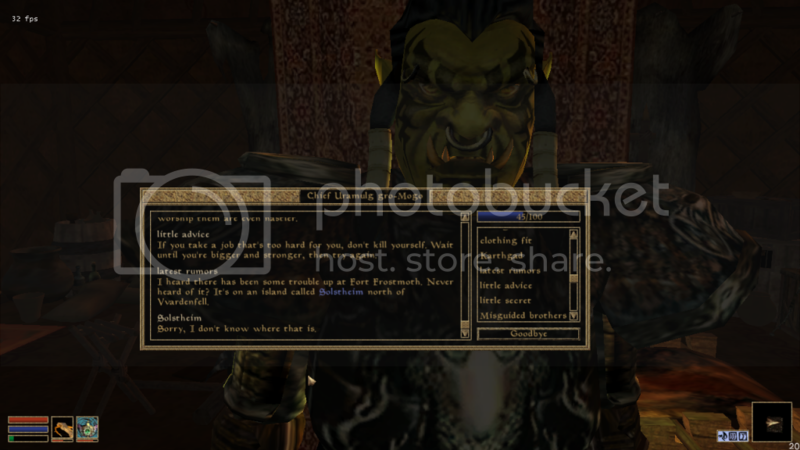 How does an orc this far in the middle of nowhere know what Solstheim is when others in SHoTN haven't even heard of it. To top it off, look at his response below. it contradicts the previous one lol. The following are places in the iron mine just north of karthgad. sorry for the poor lighting. It's a cave though, so what did you expect? This pickaxe is supposed to be stuck in this rock. Really though, it's floating in the air and isn't actually even touching the rock. This bucket, also in the same place has a similar problem, albeit much more noticable. That's all the mistakes and or bugs I have to report for now that haven't already been reported by me in the past. Last edited by SGMonkey on Wed Feb 11, 2015 9:00 pm, edited 1 time in total. Sky_Ex_Docks_Piling_01	The Reach, Vorndgad Forest (-104,9)	-846962	80436	-64	"this ford is too deep"
Sky_Ex_Railing_02	The Reach, Vorndgad Forest (-102,9)	-829459	81906	981	"cell seam here"
Sky_Ex_Nord_Foodhut_02	Wilderness (-95,16)	-777648	131296	5424	"this building is very hardly enterable"
Sky_Ex_Docks_Piling_01	The Reach, Vorndgad Forest (-103,10)	-837712	84752	-32	"too deep"
Sky_Ex_Nord_Fort_Tower_01	Karthgad (-102,11)	-833968	91440	3936	"still not corrected scale?" Sky_Terrain_Cliff_L_04_G1	Karthgad (-102,11)	-828069	90180	1632	"caspering a bit"
Sky_Terrain_Rock_04_141	The Reach, Markarth County (-99,13)	-810372	107218	4350	"caspering"
Sky_Terrain_Rock_04_053	The Reach, Markarth County (-98,13)	-802543	114525	4724	"caspering"
Sky_Terrain_Cliff_L_04_E2	The Reach, Markarth County (-98,14)	-798568	116774	2048	"caspering"
Sky_Terrain_Cliff_L_04_E1	Falkar Foothills Region (-98,16)	-798478	132137	2048	"caspering"
Sky_Ex_Redguard_Window_01	Wilderness (-111,8)	-902484	69339	8313	"house missing or just a pair of floating windows?" Sky_Terrain_Cliff_L_04_A1	Wilderness (-115,9)	-942080	77056	4928	"caspering"
Sky_Ex_Ropebridge_01	Karthwasten (-105,4)	-856144	33422	2413	"we really need to replace this bridge with the stone one"
Sky_Terrain_Cliff_L_04_F1	Wilderness (-103,4)	-841488	33376	-176	"caspering"
Sky_Terrain_Rock_04_141	Wilderness (-102,6)	-829769	54976	3280	"probably missing cliff mesh here"
Sky_Terrain_Rock_04_105	The Reach, Karthwasten County (-101,4)	-826880	38098	1818	"land seam by this rock"
Sky_Ex_Impruin_Basement_02	Wilderness (-106,2)	-862336	20032	6016	"missing piece of the ruin here?" Sky_Terrain_Rock_04_105	The Reach, Karthwasten County (-108,2)	-879924	21079	5297	"floating"
Sky_Terrain_Rock_04_135	Sky_farmlands_#9 (-108,16)	-876792	134959	513	"gap here, also road textures are incosistent"
Sky_Ex_Ruin_House_03_11	"there is some weird triangle in the corner of this ruined mesh, I think it might be a spider web or something, but its texture looks weird ingame"
___to shrine	The Reach, Vorndgad Forest (-107,13)	-875164	106894	5996	"I assume those are some leveldesign markers, right?" "grass often prevents from looting corpses"
Sky_Flora_Grass_01_03	ClaimMarkarth_Wilderness (-104,18)	-843853	149340	182	"texture seam here"
Sky_Ex_Railing_04	The Reach, Vorndgad Forest (-102,15)	-829760	130704	489	"texture seam in the middle of the road"
Sky_Flora_Bush_Leaves_Dry_01_02	Sky_vorndgad_#11 (-108,14)	-882814	121949	1001	"this kind of tree could probably use less collision"
2In_Lava_Blacksquare	Sky_claim_berrow	3576	1368	15192	"this is probably supposed to simulate darkess between rocks, this report might be just a professional deformation, but to me it looks like missing meshes actually"
Sky_Flora_Bush_Pine_01_01	The Reach, Karthwasten County (-108,2)	-877803	21305	5603	"perhaps this kind of mesh could use less collision as well"
"I believe the roosters are using minotaur sounds, they're pretty creepy." 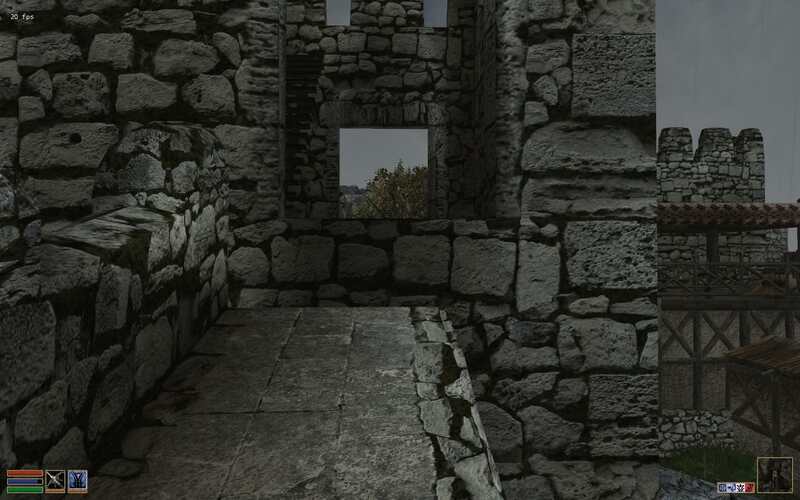 Sky_TheReach_Barjorg00000000	Karthgad, Mead Hall of Thane Grondvyrd	4235	5234	11842	"ancient steel pauldrons are missing their meshes"
Sky_TheReach_Barjorg00000000	Karthgad, Mead Hall of Thane Grondvyrd	4235	5234	11842	"nordic silver axe nas no inventory sounds"
Sky_Sack_01_03_Grain_01	Falkar Foothills Region (-99,15)	-805763	126484	7914	"these two sacks might be floating, they coudl be sunk a little bit more"
"the gate crank in Markarth gave me runtime error upon activating, isn't there something wrong with the script? 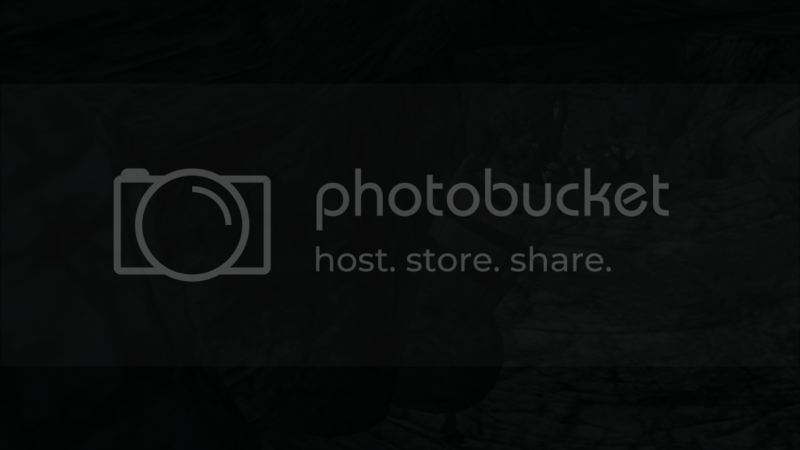 Opening the Markarth cell crashes my CS as well." Sky_In_Barrow_Bricks_01	ClaimMarkarth_Wilderness (-103,17)	-839352	143803	573	"I believe this mesh has its rocks texture turned 180 degrees, the shadows are on top"
Sky_In_Barrow_Bricks_01	ClaimMarkarth_Wilderness (-103,17)	-839352	143803	573	"also the grass is floating around here"
Sky_Terrain_Rock_04_141	Claim Worsas New (-109,18)	-886017	151164	596	"land tear by this rock"
Sky_Flora_Tree_Leaf_02_03	Sky_vorndgad_#11 (-108,13)	-877016	109244	5531	"floating"
Some of these are probably in not yet finished cells, so you can probably ignore them, the rest...I'll let you decide. Although Skyrim's weather works often against screenshoting, the overall exterior atmosphere is very nice, especially the woods in rainy weather. The milky white fog felt a bit extreme sometimes, especially when it lasted for days. One thing I noticed was the lower creature count in exteriors, compared to vanilla game (although it might be just that I was only at level 1). Last edited by Lord Berandas on Wed Mar 02, 2016 8:04 pm, edited 3 times in total. Does anyone really want cliffracers 2.0? Well, it's not about cliffracers, one annoying thing about mobs can be that they can see you thrugh grass and bushes, but for the player it's quite difficult to determine from where is he actually attacked, based on the music change and since our exterirs are very rich, it could be difficult to avoid mobs. The thing I was thinking about was that there are only few minotaurs, wormmouths and a few non-respawn NPCs and most of the time the player is simply roaming the land without any encounter. This would ofc need a proper gameplay from lvl1 up. It looks like after recent data update, sleeping for a longer time in Vorndgad forest region (enough to get a weather change, perphas?) results in game crashing... Weird. I tried it many times, always with the same results, because I thought my horse quest could be somehow dirty, but it happens when I plug off that quest, too. Everything is well when I rest in "Karthwasten, docks" cell (belonging to Wilderness region currently). Can anyone confirm this happening as well? When testing your horse quest, it happend to me, too. Then I resaved both the vorndgad forest file and the questfile in the CS and it stopped happening afterwards. Phew, it's a relief it's nothing huge, then. It makes sense, I guess, since I didn't make the forest file with latest esm. T_Rga_SetReach_DoorGrateDblL_01	Karthwasten (-104,5)	-845486	44336	2890	"this gate is upside down (see the keyhole)"
T_Nor_SetPalisade_LadderUp_01	Karthwasten, Dancing Saber: Tavern, Basement	4766	3896	12254	"activating this makes no sound"
T_Rga_SetReach_X_HouseRuin_06	The Reach, Lorchwuir Heath (-103,3)	-841536	25744	1841	"the door should propbably have a larger hole in its collision mesh, I was able to pass in, but unable to get out"
T_Nor_DngBarrowFort_Door_01	The Reach, Druadach Highlands (-109,15)	-889904	131008	3536	"no interior linked here and the other door higher up"
T_Nor_Set_GrindingWheel_01	Karthwasten (-104,5)	-850742	46862	2600	"I can see the meshes with added animations never got into the release "
"traveling to Skyrim makes teleport sound, but then I wake up at the docks.."
T_Sky_Flora_BushLeaves5_02	The Reach, Lorchwuir Heath (-106,5)	-860891	47909	1186	"bleeding"
T_Rga_SetReach_X_FortTower_05	The Reach, Lorchwuir Heath (-106,5)	-860621	48059	1526	"floating"
GH_sky_OreREIron05P	The Reach, Kerlingroff Mine, Upper Mineworks	192	-212	975	"harvesting this without equipment gives messagebox about mining gold"
T_Nor_Set_Railing_01	The Reach, Vorndgad Forest (-105,15)	-854437	129764	1301	"rope has no collision"
T_Sky_Flora_TreeLeaf2_02	The Reach, Midkarth Region (-103,14)	-837901	116169	3427	"floating"
"are the birds singing even during night?" Interior are generally bright for my taste (I am using darker nights and some other darkening mods), but one thing breaking the immersion the most are the window lights simulating the daylight coming through - they're present even during night, wich is very odd. Mountain goat should be renamed to Zombie goat due to their animation. Last edited by Lord Berandas on Wed May 03, 2017 9:20 pm, edited 3 times in total. Were the errors listed in Lord Berandas' older post ever fixed? Lord Berandas wrote: [...]one thing breaking the immersion the most are the window lights simulating the daylight coming through - they're present even during night, wich is very odd. I believe we had planned for these lights to be scripted, i.e. they should disappear at night. I'm not big on the scripting thing though, so it might not be possible; in that case, they should be removed. Scamp wrote: I believe we had planned for these lights to be scripted, i.e. they should disappear at night. I'm not big on the scripting thing though, so it might not be possible; in that case, they should be removed. Most certainly possible! The simplest solution would be to disable/enable dependent on GameHour global variable value. The transition would be very abrupt though. T_Com_Var_BottleBroken_03	The Reach, Lorchwuir Heath (-106,5)	-862175	48569	1042	"Floating"
T_Com_SetRuin_Rubble_04	The Reach, Lorchwuir Heath (-106,5)	-862662	48678	1465	"Floating"
light_com_lantern_01_256	The Reach, Lorchwuir Heath (-106,6)	-862495	49158	1668	"Floating"
T_Nor_Set_Wagon_01	Karthwasten (-104,5)	-845480	45820	2832	"Odavus Codicus gets stuck on this wagon during wandering"
T_Rga_SetReach_I_TileTrim_02	Karthwasten, Guild of Fighters	5379	3263	15841	"OpenMW: NPCs wander down the stairs and can't climb up this top step"
T_Nor_FurnM_Bar_01	Karthwasten, Tivela Tyravel: Pawnbroker	530	-32	32	"OpenMW: Bar has no collision, but has collision in vanilla"
Last edited by Texafornian on Thu May 04, 2017 5:42 am, edited 3 times in total. Our roasters seem to growl like werewolves. Also, you can kill farm animals in Karthgad and no one will try to stop you. I'm not sure this is something we can fix, though. In general, I think our log cabin interior shells need adjusting. You should haven't to jump to get from the lower part of the floor to the higher parts. Maybe add little ramps along the sides. I found one dialogue error. Muirach, a woman in the Braign Camp, will use generic Nord dialogue when referring to the Reachmen. Given that she is a Reachman, it's odd to hear her castigating them. Thane Grondvyrd has a typo in her Background topic: "servE" should be all lowercase. (Openmw only) Horse(s) in the Karthwasten stables constantly uses its scream sound every 5 seconds. It is played at a very loud volume, and is really annoying. Last edited by Iskuss1418 on Mon Nov 13, 2017 3:53 pm, edited 1 time in total. The farm houses on the farmland mesa near Karthgad all use "colony_smoke_1" for their chimneys (4 times total, all around cell -99, 14). These should be replaced with "active_chimney_smoke02". Colony activators only appear on certain Raven Rock quest stages. Baby land tear in Sky_main, -108, 16. It's right on the edge, so fixing it will only be possible together with rest_exteriors. EDIT: This has been fixed in an InDev version of Sky_Main. MWEdit and Enchanted Editor are both showing that Sky_Main.esp has had some dirty edits to some Bitter Coast Region and West Gash Region cells as well as the interior "Nchardahrk", for the past few internal updates. Last edited by Texafornian on Fri Mar 02, 2018 6:53 pm, edited 1 time in total. 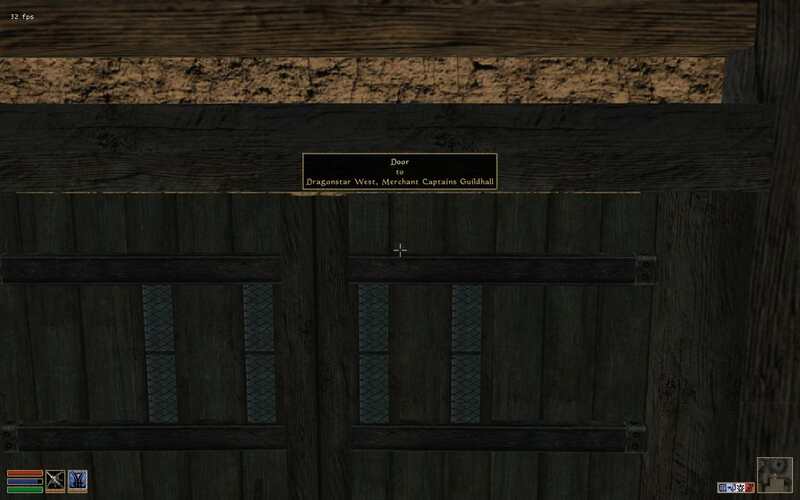 The sidedoor to Karthwasten, Cassius Manor currently points to Karthwasten, Throld Round-Head's House. Last edited by Texafornian on Fri Mar 02, 2018 6:53 pm, edited 2 times in total. 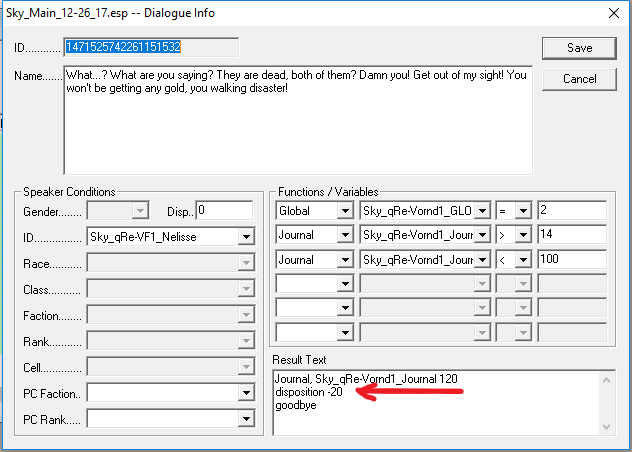 This "Greeting 1" entry in Sky_Main_12-26_17 needs a quick fix... "disposition -20" should be changed to "moddisposition -20". Last edited by Texafornian on Fri Mar 02, 2018 6:52 pm, edited 2 times in total. 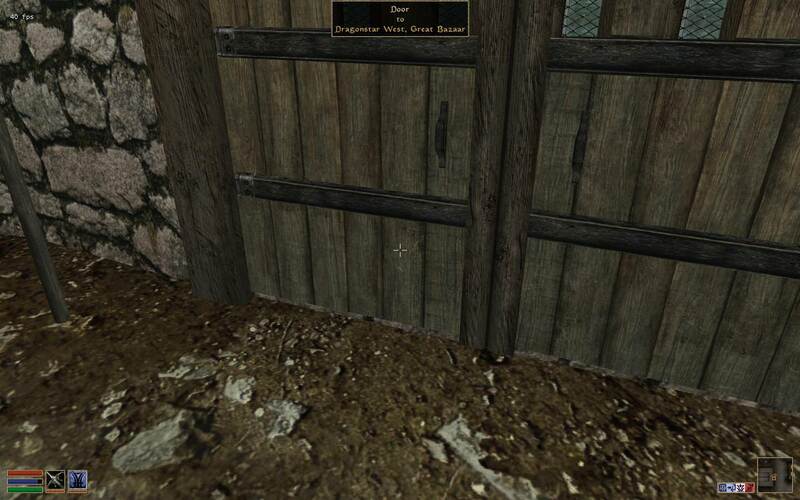 Notes: The door marker puts the player inside of a rock wall. The marker should be moved away from the wall. Notes: Ever so slightly caspering rock. Have to tcl to near ground level to see it, or be at bottom of nearby hill. Notes: stair blocked by beam. Characters with good acrobatics are fine, but otherwise you are stuck. 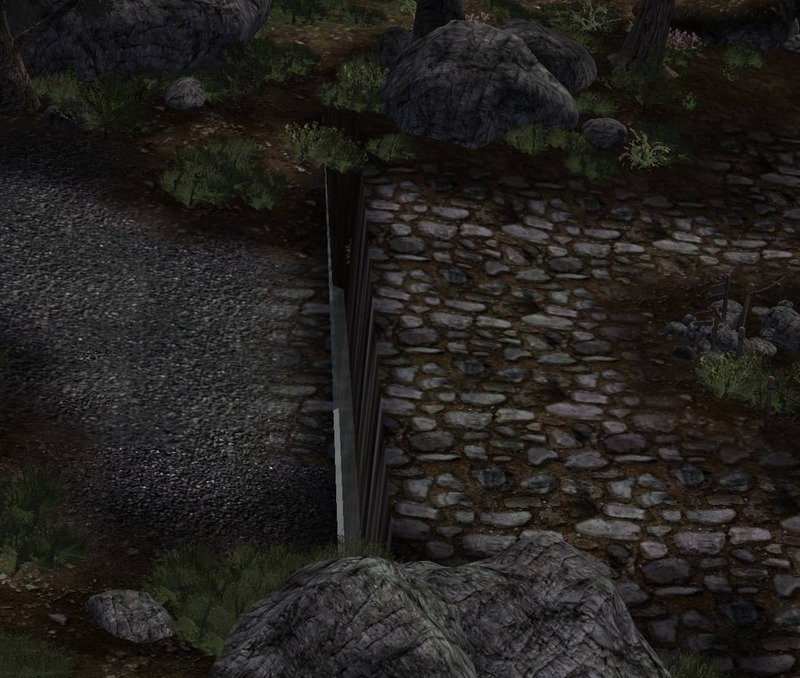 There's goodies down here to lure players as well as a dungeon entrance. Notes: Bleeding into guardhouse. Also the texture of the floor is inconsitent, although that's on the data side rather than a sky_main bug. Notes: Two npcs named Erond. deleteme erond is not deleted. Notes: These greaves are stronger than Dwemer and classed as [Heavy], yet they only have a patch of armor on the lower thigh. The rest is fabric. Also maybe Nordic Steel armor should be rarer/more expensive given how its rated higher than Dwemer (Dwemer greaves: 20, Nordic Steel Greaves: 26 Value: 160). Notes: rock wall caspering. Not sure if improperly placed or a problem with mesh. Seems to be a lot of dotted lines where the sky can be seen between segments of wall. Not just this one piece. Notes: They tend to bunch up into the same spot so there are 2 or 3 in one point overlapping. Also the quest where you clear these from a mine, is excruciating because of how many of these worms there are. 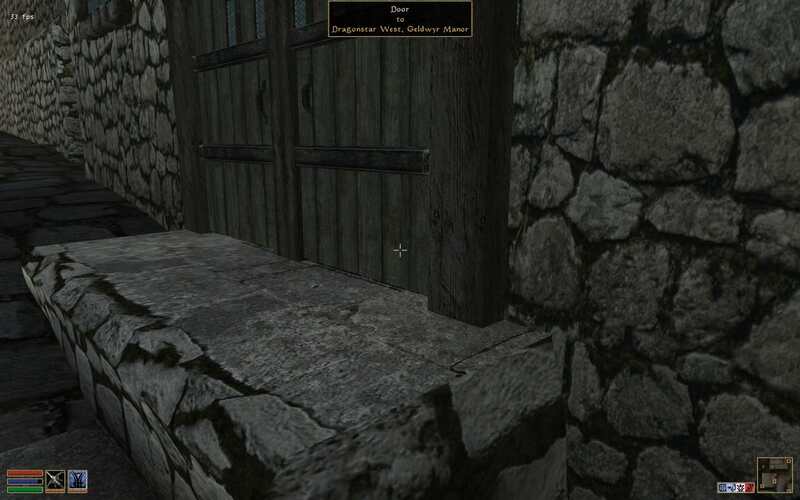 Guards in Karthwasten won't arrest player. If crime is commited they attack to kill. If they dont see crime they tell you to pay gold, but there is no clickable option and you can continue dialogue with them or exit without consequence. SHOTN Guard NPCs need to be given the "Guard" class instead of "T_Sky_Guard" and an alarm rating of 100. Otherwise, they won't arrest the player. Edit: This probably means their custom dialogue can be deleted, too. Here are some errors I just noted around Dragonstar. Last edited by Outlander on Fri Dec 07, 2018 10:39 pm, edited 1 time in total. EDIT: Fixes have been implemented in latest InDev file. Last edited by Texafornian on Sat Apr 07, 2018 4:52 pm, edited 3 times in total.